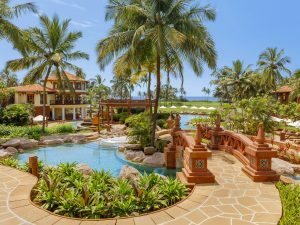 ITC Hotels has announced the opening of its 13th luxury hotel in India, ITC Grand Goa, a Luxury Collection Resort & Spa, formerly known as the Park Hyatt Goa Resort & Spa, on Arossim beach in Cansaulim, South Goa. Celebrating the spirit of Goa, this 252-keys beach-side, village-styled resort’ s architecture draws inspiration from the Indo-Portuguese vintage and comprises six signature dining options, indoor and outdoor meeting and banquet spaces and Kaya Kalp- The Royal Spa. Speaking on the occasion, Nakul Anand, Executive Director, ITC said, “With this resort ITC Hotels has expanded its footprint in a globally sought-after leisure destination in Asia. The addition of ITC Grand Goa Resort & Spa to our luxury hotel portfolio further reinforces ITC’s vision to consolidate its portfolio in key business and leisure destinations in the country.” Each of the 252 well-appointed rooms and suites feature private outdoor spaces in the form of a balcony or patio providing picturesque views of the Arabian Sea, lush landscaped gardens, lagoons or the multi-level swimming pool. Underscoring ITC Hotels’ ethos of ‘Responsible Luxury’, ITC Grand Goa Resort & Spa endeavours to showcase the culture and ethos of the destination through unique, enriching experiences reflected in bespoke services, indigenous cuisine and engagements that foster partnerships with local artisans and communities. 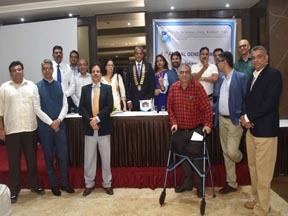 Kuldeep Bhartee, General Manager (Area Manager – West) ITC Hotels, and General Manager, ITC Maratha, was elected unopposed as the President of Skål International, Bombay Club in its recently-held 62nd Annual General Meeting at the West End Hotel in Mumbai. More than 80 members attended the event. Bhartee gave a presentation on his vision and goals of the club along with the roadmap which lay ahead. He said, “Mumbai has witnessed a tremendous growth in international and domestic tourist arrivals in 2017. This strong momentum is expected to continue in the coming years. Being an elite club, the management committee of the club will rise to the occasion and will work closer with all stakeholders to ensure it benefits every member.” The new Skål Club of Bombay committee members are Kuldeep Bhartee as President, Sunil Chopra as Vice President, Vaibhav Kedia as Vice President, Sunil Acharya as Secretary, Kunal Sampat as Jt Secretary and Arvind Tandon as Treasurer. The Committee Members are Suresh Gulrajani, Rosita Haribal, Jyot Jhaveri, Vinayakk Laud and Sujata Mariwala. The Co-opted Members are Rakesh Marrott and Jason O’Conner. 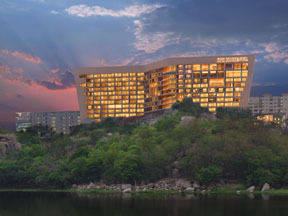 K Raheja Corp’s hospitality company, Chalet Hotels has ambitious growth plans through both greenfield and brownfield acquisitions. 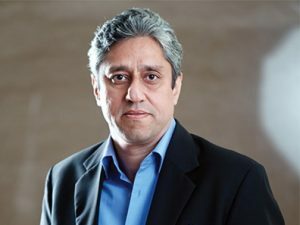 Sanjay Sethi, Managing Director & CEO, Chalet Hotels, says, “We have about four hotels under development right now. These will add roughly about 800 more rooms to our current portfolio of 2800-odd rooms. These will take about two to three years to build.” Chalet Hotels currently has about eight hotels, of which seven are owned by Chalet Hotels 100 per cent and operated by Marriott. One out of the eight is run by Chalet Hotels. Speaking about the route that the hotel company will take for growth, Sethi says, “We have ambitious plans. We are looking at acquisition opportunities in the market and we want to grow through both greenfield and brownfield acquisitions.” While charting these plans, Chalet Hotels will stay true to its portfolio which is largely upper, upscale and luxury segments. “Of course we are also looking at upscale assets also. So a couple of developments we are doing are in that segment. We will stay in the upscale and upper upscale because that’s a sweet spot for us. We might do select luxury, or mid-segment hotels as well,” Sethi adds.